B's working on recognizing letters and their sounds. 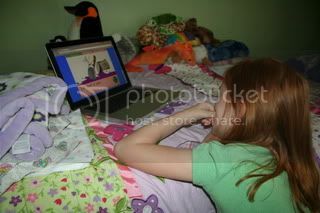 And Sydney is loving the reader portions of the site. 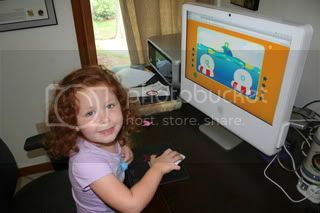 She can read the sentence, clicking on any word she needs help with, and it sounds it out for her. 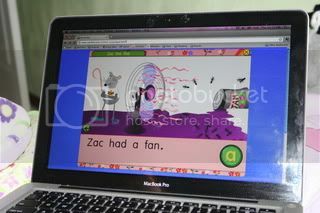 She can also click on the parts of the picture above the sentence and enjoy the animation. And I saw today that the ABC portion that B enjoys is now an ipod app. Good to know. THAT'S RIGHT -- Keep hitting it! MORE UNICORNS, rainbows and EVERYTHING SPARKLY. You're welcome. Leave your kids' favorite websites in the comments!